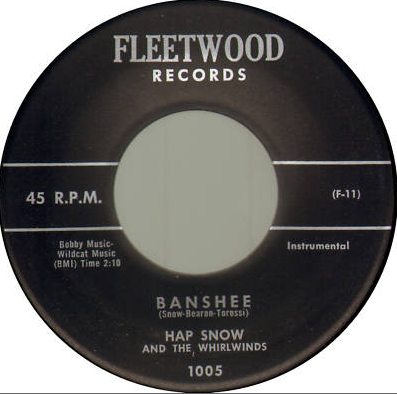 In 1959, Hap Snow’s Whirlwinds made their first trip to Ace Recording Studios in Boston, Massachusetts to cut two original instrumentals: “Banshee,” written by James K. “Hap” Snow, Art Bearon, and Stefano Torossi, and “Bottoms Up,“ written by Bearon and a fellow Williams’ student with the surname D’Angelo. 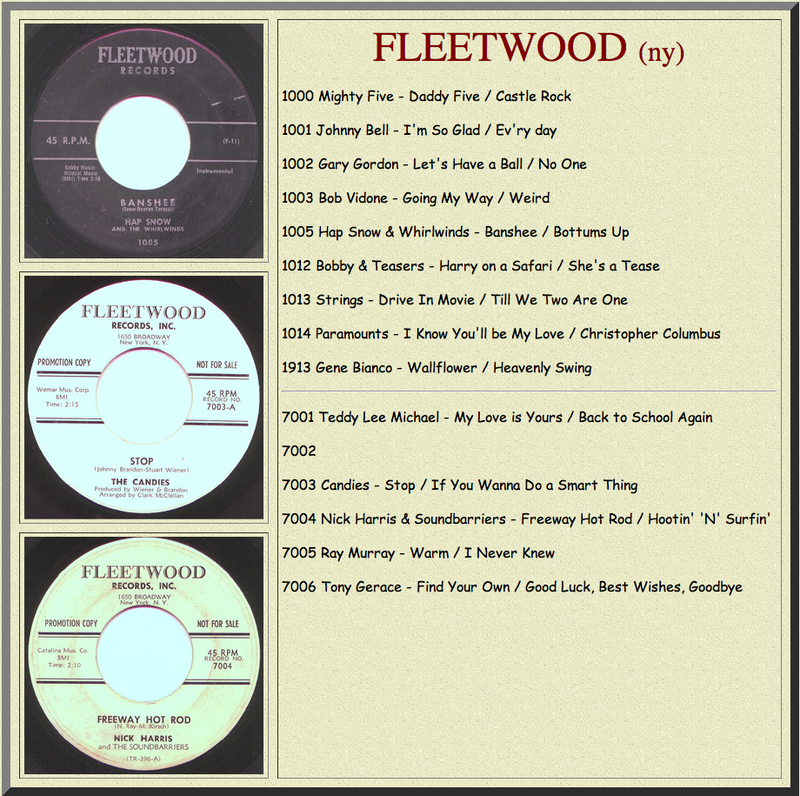 The sessions featured the four regular Whirlwinds, Bearon on piano, Harry Lewis on saxophone, Snow on lead guitar, and Torossi on drums. In addition, a bass guitar player from Williams was invited to sit in that day–yet to be confirmed is that he was the co-author of “Bottoms Up,” D’Angelo. Hap Snow recalls, “the sessions took forever and ever, there were more than twenty takes [of “Banshee”] before the engineers were satisfied.” “Bottoms Up,” on the other hand, was written on the spot at the end of the 4-hour recording session. It was used for the B-side while, “Banshee,” originally known as “Macabre” in early versions, was placed on the A-side. This entry was posted in Band Feature and tagged "Banshee", "Bottoms Up", "Macabre", 60's Rock, Ace Recording Studios, Art Bearon, Arthur Bearon, D'Angelo, Hap Snow and the Whirlwinds, Hap Snow's Whirlwinds, Harry Lewis, James K. Snow, Massachusetts Rock, New England Rock, Stefano Torossi, Williams College. Bookmark the permalink. Wow! !—Ace Recording Studios–Herb and Milt Yakus–I met both in 1958 at the ripe old age of 18–when I brought my borrowed $35 to rent the studio for an hour and before the hour ended, they set up a session that very evening for me to record two original songs..Rattle Shakin Mama and Cheryl Baby…subsequently released on their new Rocket record label……..I ‘m told that both songs are still on on U Tube. I think it was two years ago I recorded a couple of other originals just for the hell of it and a nephew of mine, one of those genius geek types, placed those on U Tube. Now @ 73…I just browse the net once in awhile and am as happy as hell I came across your thing here. I listened to all of it and really enjoyed the sounds. Thanks for stopping by and sharing your comment, Mel. Looks like you and the members of Hap Snow’s Whirlwinds may literally have passed one another in the hallway at Ace Recording Studios, or just about as they were definitely there in 1959 and 1960. Listened to your uploaded music, old and new. Really enjoy “Cheryl Baby” and “Rattle Shakin’ Mama,” and your recent tune “Ruby Lee” moves me, too (love the Boston references). Hope you won’t mind if I insert a link for the Italian radio version of your 1st A-side here (http://youtu.be/0wIgILryJh4), the B-side here (http://www.youtube.com/watch?v=qSKQqYGUxfc), and “Ruby Lee” here (http://youtu.be/XdPeoAsDKjI). Keep on rockin’, my friend!